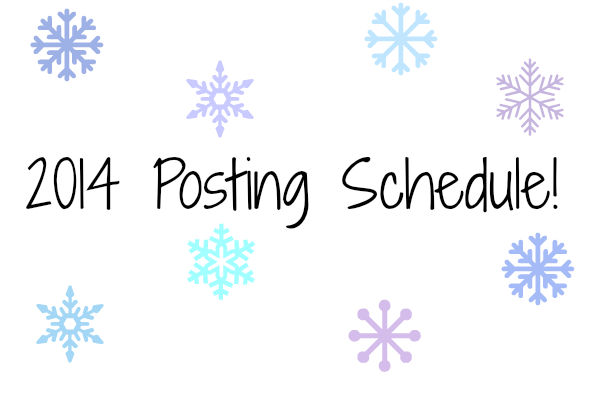 Modern Beauty Girl: My New Posting Schedule! So I'm going to preface this post with this: "I'm pretty good at sticking to schedules, but I know already that this year is going to have moments when I cannot stick to my schedule no matter how much I want to and I hope that you're okay with that!" You are? Great! So let's see... for the past couple months, I have been posting daily, which is wonderful, but really hard work! I also sort of neglected my other blog in the process! I want to switch it up this year and post on this blog on Mondays, Wednesdays, Fridays, and Sundays. I think that 4X a week is great because it lets me spend more time on my content and you have a couple of days to read each post! If you're curious about my other blog, I think that I'm not going to schedule posts over there, but do it spontaneously whenever the mood strikes! I hope that you guys are okay with this because I think it'll bee good for us all! P.S. I might post more than that if I feel like it! P.P.S. Don't forget to enter my MAC giveaway!